MHR has dedicated this page for people and Moriesians who have done something outstanding and we want to give them recognition. It can be showing, inspections, performance of any kind or anything that contributes the the development of the Moriesian breed. 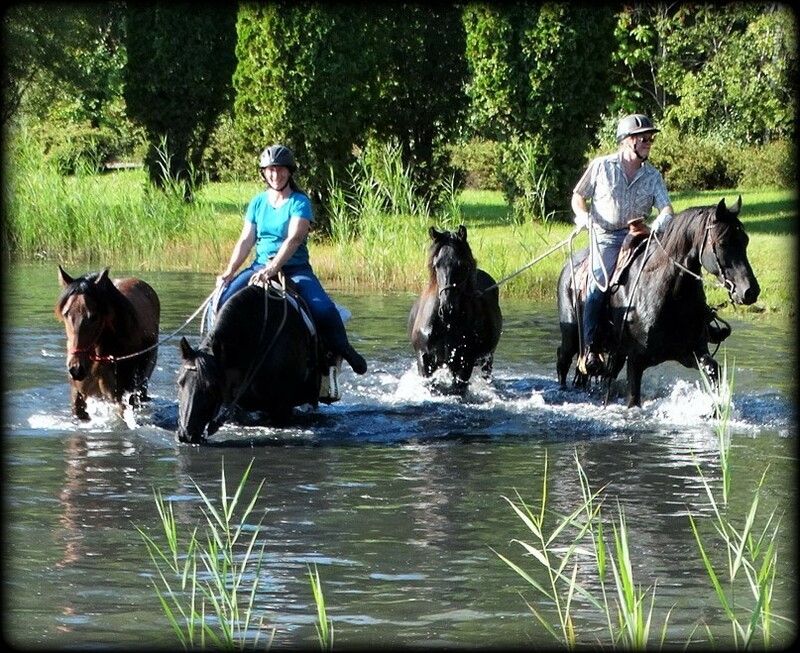 Please contact MHR is you have something special to share. 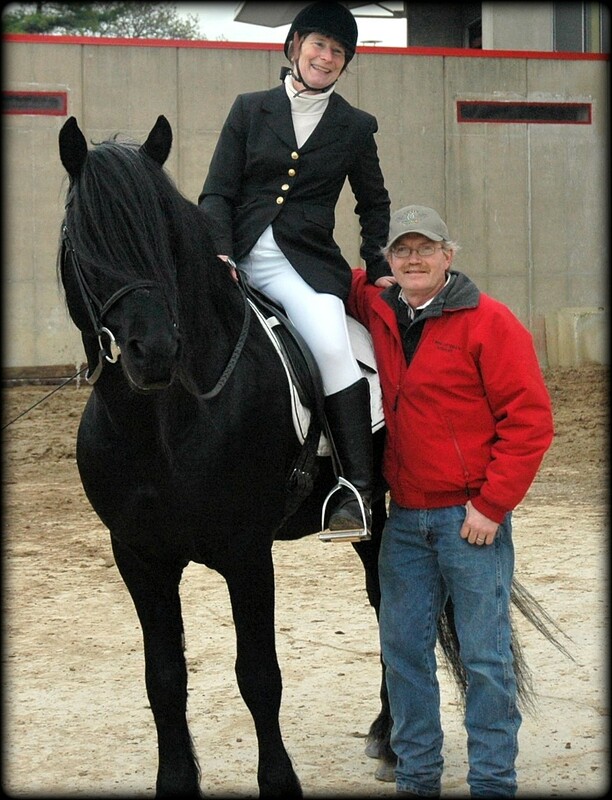 This year’s Awards Program winner in Dressage is Daina Behe with her 6-year old gelding WC Remmington (Remmi). 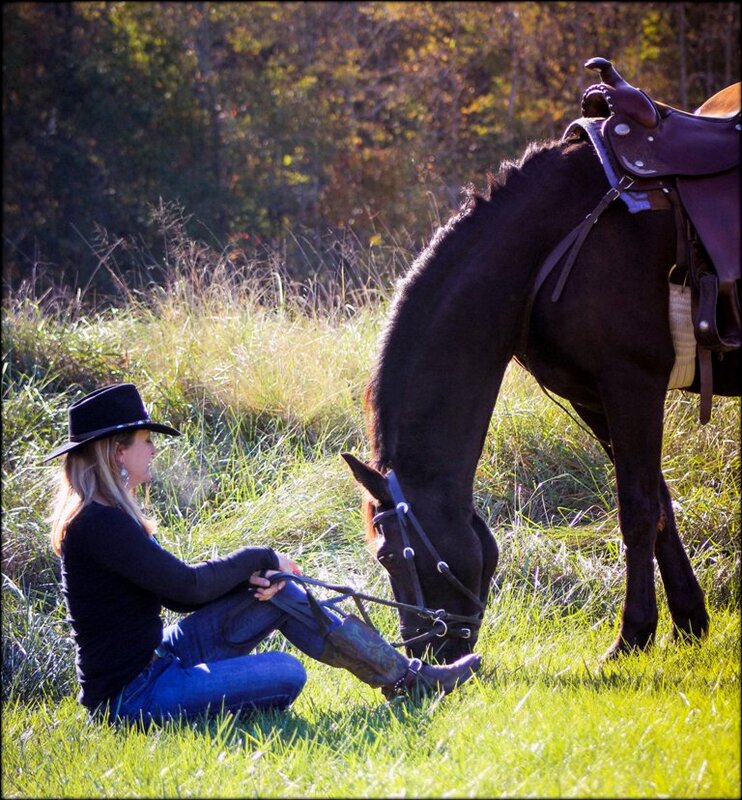 Daina completed 17 Introductory Level Tests in Western Dressage, two of which were champion classes at the IFSHA World and Grand National Show. She scored an average of 68.56 points in 10 tests. Her top 4 tests averaged 70.325. 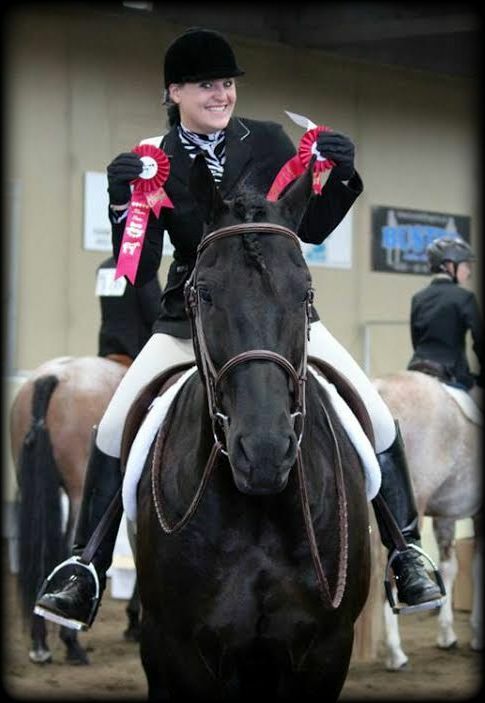 Congratulations Daina! 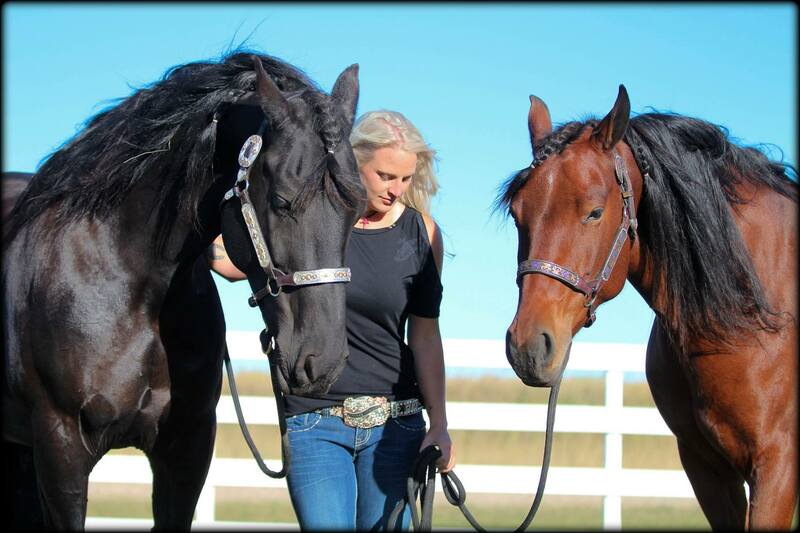 Ellie Jensen with her mares Gem’s Special Cheval (18), Label me Black Chizel (20) and Miss Sheer Elegance (21), and her stallion Opus Black Mikasa (24) - 937 total hours. 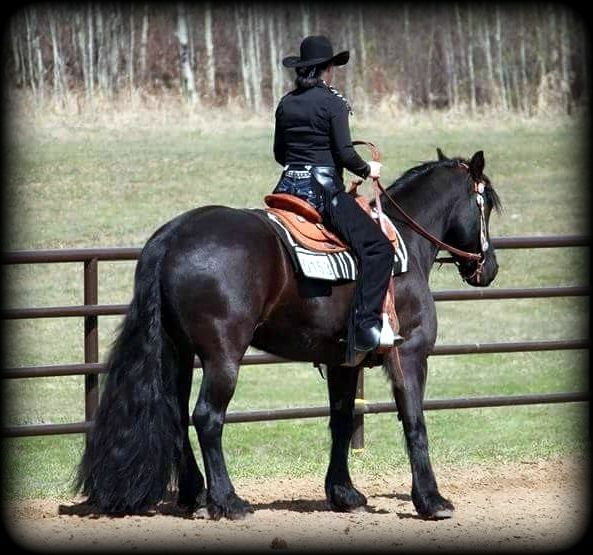 Ellie spent her entire year promoting the Moriesian breed by attending fairs and parades, going to numerous clinics and hosting camps and play days. Both she and her husband are active in promoting the breed. 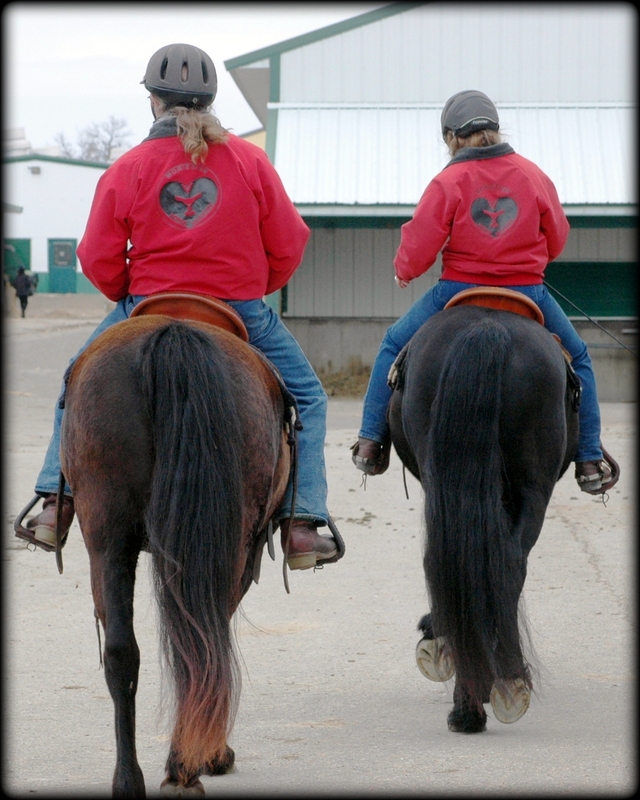 They use the Moriesians they raised during their lessons and clinics. Ellie has been with the registry since its inception and currently has the largest Moriesian breeding program in the country. Congratulations Ellie! 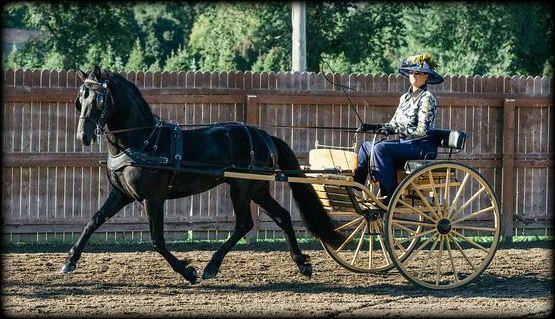 Second Place: Tamara Turgeon with Nanne’s Brandia Dancer (Tristan) - 430 hours. 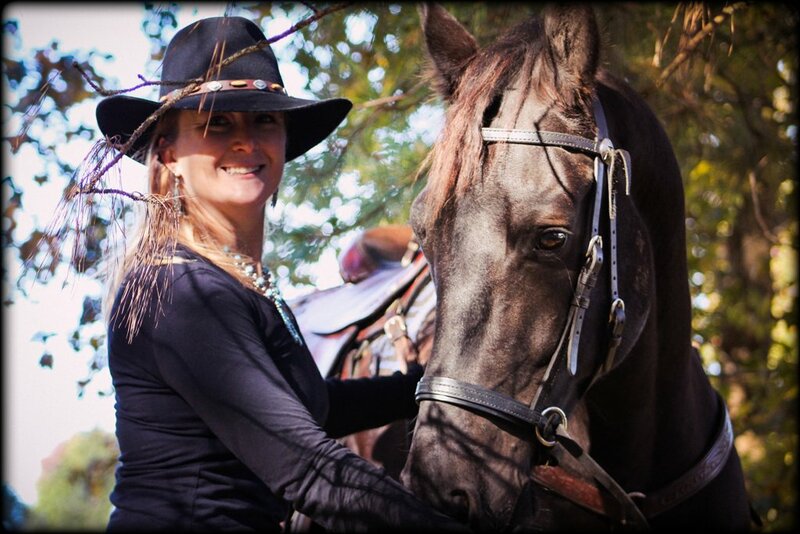 Tamara rides regularly, taking 2 lessons a week and attending horse shows, horsemanship clinics and ranch roping practices. 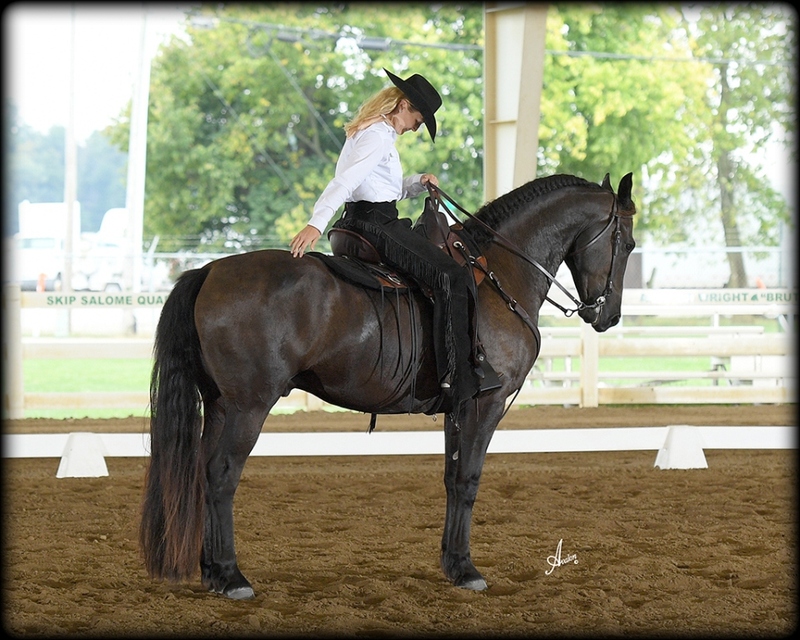 She and Tristan exhibit the Moriesian versatility in riding and competing both English and Western. Congratulations Tamara! 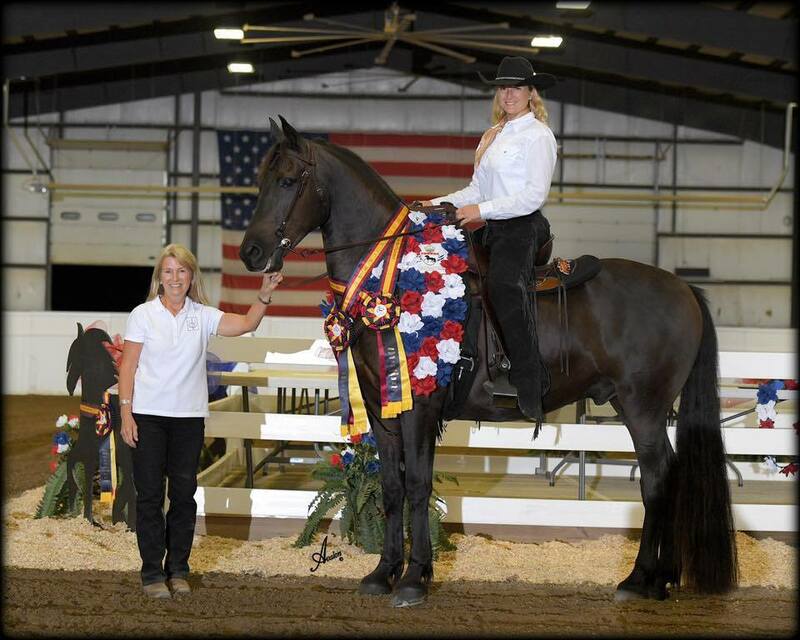 MHR would like to recognize Lindsay Klik LaBella, owner of Dutch Hollow Acres, and her young Moriesian stallion, Peitro Antonio DHA for great accomplishments in the show arena over the last few years. 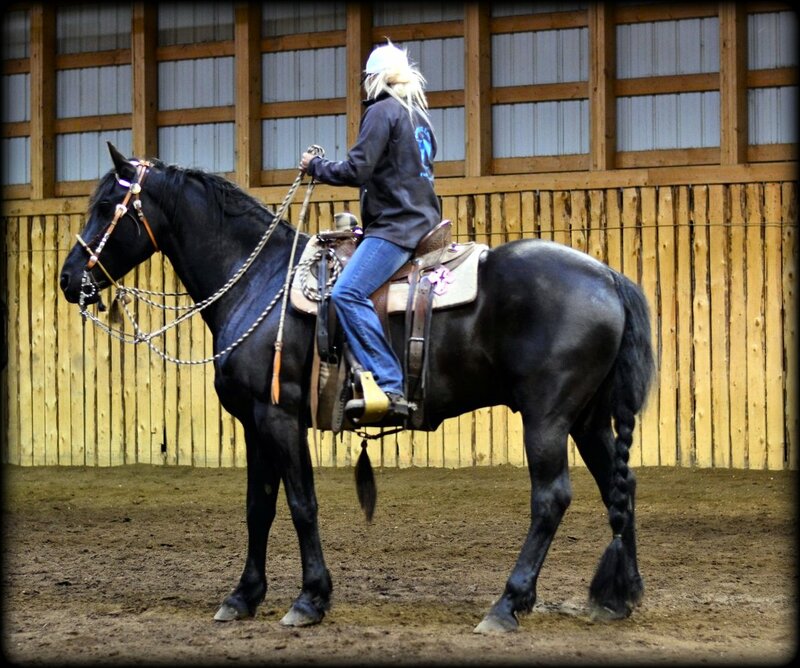 She took a break in 2016 and we look forwad to seeing Lindsay and "Pete" back in the show arena for 2017. Nice job! Over all Reserve Champion for the day! 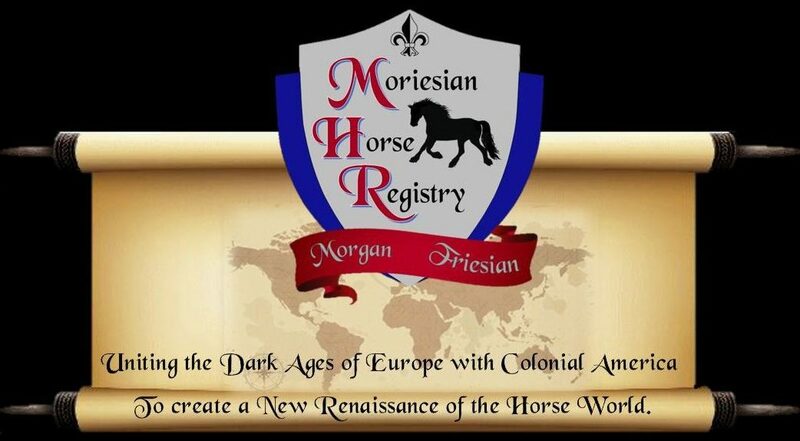 Visitors to the Moriesian Horse Registry! Thank you for stopping by! Guest to MHR just today!